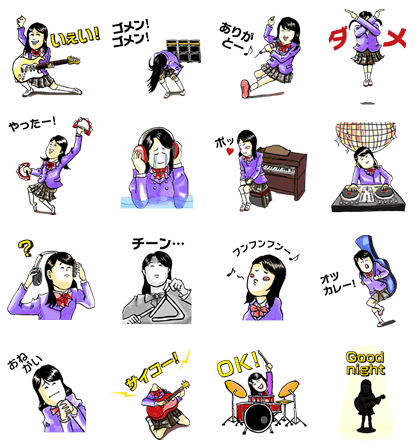 http://www.line-stickers.com/ – Sound House Girls’ School Line Sticker | The lovely ladies of Sound House Girl’s School know how to rock! 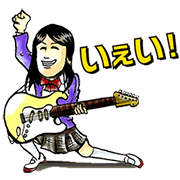 Whenever recess rolls around, these girls grab their guitars and percussion instruments and start jamming like there’s no tomorrow. Friend the Sound House Girls’ School official account to get this set! Available till August 3, 2015. Copyright : Sound House Inc.